- Basic concept of the game. And it works on that level but there is so much depth to the combat that you can become a master swordsman over time. We wanted to capture the experience of truly being on a medieval battlefield. To accomplish this we drew on our inspiration from epic swordfighting movies such as 300, Gladiator and Braveheart. We seek to bring the chaos, intensity and epicness that those movies deliver to the hands of a gamer. We were also disappointed with melee in other games. We didn’t want to be locked in to a canned animation, see damage numbers above enemies heads or have quicktime sequences. We wanted the player to be in control and have the ability to adjust his attack in real time with the mouse. You control the action. Not like assassins creed where you press one button to do a triple backflip and kill 5 guys, in Chivalry you individually select each action that your character performs and always retain full control. This allows the player to perform expert level manuevures, like ducking under or jumping over his opponents strike, but only if the player himself is good enough. Chivalry brings a ton of unique and exciting experiences to the player, whether it’s the precision and responsiveness of the melee combat, the huge variety of effective playstyles and weapons, or the ability to besiege castles, raid villages and assassinate enemy royalty in an online setting. 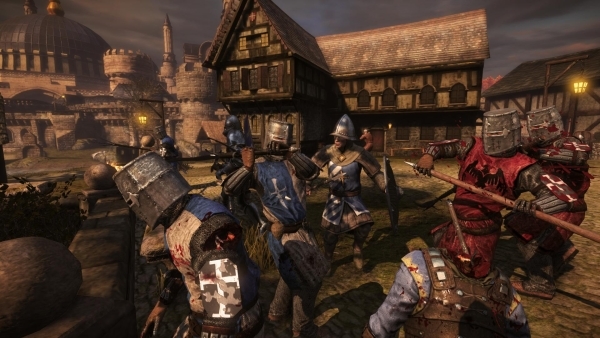 Chivalry’s combat system was designed from an interesting mix of First-person Shooter, RPG and Fighting genre game mechanics. 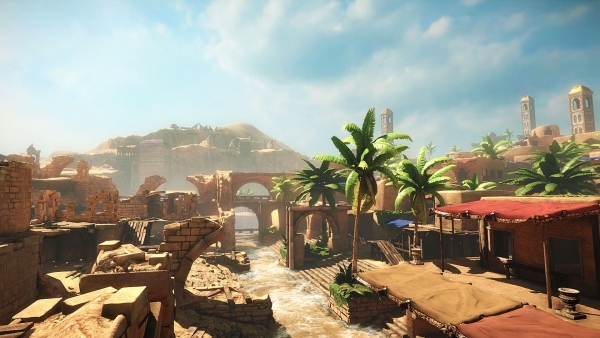 As a result there is a blend of twitch-based reflexes with high-level strategy and tactics gameplay. This offers a variety of playstyles from the calm and accurate counter fighter (think Tristan in King Arthur) to the all out berserker that tries to overwhelm his opponents with repeated strikes (think William Wallace from Braveheart). We believe that a wide variety of gamers would enjoy Chivalry, especially fans of the Medieval and pre-Medieval Era, or First-person shooter gamers who are looking for something new but with a familiar control scheme and competitive environment. Torn Banner Studios – we are a new independent studio that is pursuing its first commercial release with Chivalry: Medieval Warfare. We currently operate on a global, virtual basis and are hoping to be able to continue to do what we love doing- making games that bring new, exciting challenges to gamers.